Dr. Nami Cho is a San Francisco native and an alumnus and Assistant Clinical Professor at the prestigious University of California, San Francisco (UCSF). She received her Bachelor of Arts at University of California, Berkeley. 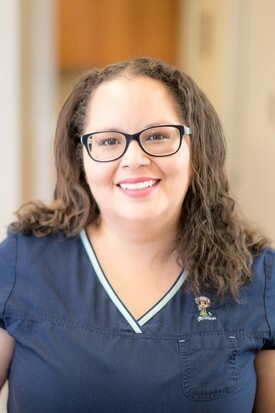 Following matriculation from dental school, she completed a General Practice Residency at the Veterans Hospital at Mare Island, CA where she received advanced training in dental implants, restorative, and cosmetic dentistry. Dr. Cho’s dental philosophy is to provide quality and compassionate dental care so that all patients have a healthy and beautiful smile. 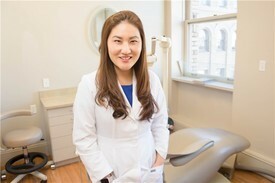 She works with each patient to address their unique dental concerns and provides a tailored treatment plan for their individual needs. Dr. Cho understands how uneasy some patients feel about their dental visits. She is a gentle, thorough, and knowledgeable dentist who is passionate about providing the best care to her patients. Dr. Cho enjoys traveling and hiking. She is a huge foodie and enjoys cooking for others. Debra has been with our practice since 2008 and brings over 10 years of dental assisting experience. Debra became an RDA in 2004 after graduating from City College of San Francisco Dental Assistant Program in 2002. She is a San Francisco native and has short hair cat name Appa. Debra loves traveling, wine tasting, museums, and Netflix marathons. Keren is our office manager and she graduated from Chabot College in Hayward. With a warm and welcoming smile, Keren will help you verify your insurance benefits, schedule your appointments, and explain your treatment plan. Rey is one of the greatest additions to our growing family of dental providers. She is a trained and licensed dentist, however, she prefers to focus her skills on hygiene. Rey brings over 30 years of expertise and knowledge to our practice. She loves practicing dentistry. 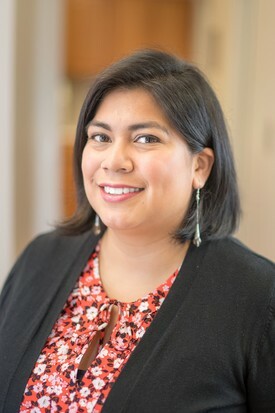 Monica has attained both her Bachelor of Science Degree in Biology and Dental Hygiene in 1998. 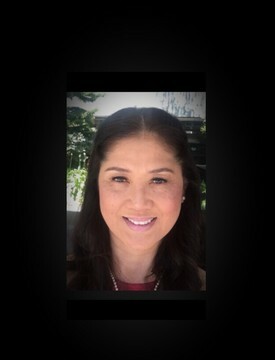 She has since worked in the Bay Area, LA, NYC, and Germany with a background in general, periodontics and prosthodontics settings. Her biggest passion as a clinician is being able to manager and establish dental hygiene protocols and treatment modalities in dental practices. What she finds the most rewarding is getting to know and boding with her patient while educating and motivating them in maximizing their overall health though optimal dental care. She loves learning new languages, experiencing different cultures and cuisines, and fulfilling her lifelong goal of seeing the world!